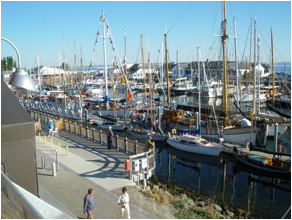 A special vacation rental in the heart of historic Victorian seaport Port Townsend. 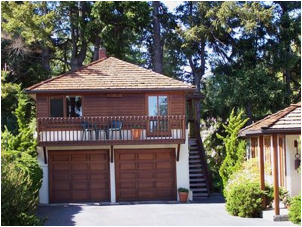 The Sea Loft is a "carriage house" located in a beautiful neighborhood near the beach, Chetzemoka Park, and Point Hudson Marina. 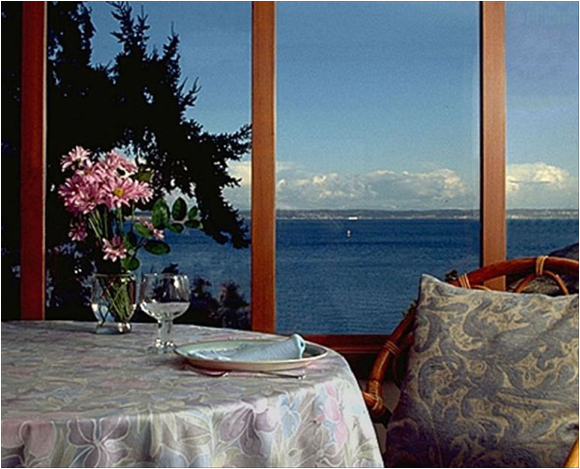 The Sea Loft commands an outstanding view of Admiralty Inlet to Puget Sound, the shipping lanes, and Whidbey Island. It is a short walk to the beach and to uptown and downtown shops and restaurants. 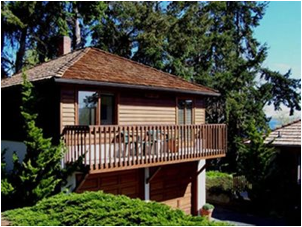 The Sea Loft features a sunny balcony, kitchen, tub/shower bath, 39-inch flat-screen cable TV, WiFi, CD player, and washer and dryer (downstairs). Table service and kitchen equipment are provided, plus a starter supply of coffee, tea, granola, milk, and bowl of fruit. The bed is a very comfortable king, with quality linens and a down comforter. Maximum occupancy 2. Sorry, pets are not allowed. We are a nonsmoking guest accomodation. and the cost of two nights for a stay of two weeks or more. The balance due is by check or cash upon arrival. Two weeks notice off-season and three weeks notice in-season for refund of deposit. Owner's house to the right. Entry on the view side. Tub/shower bath with linen closet. 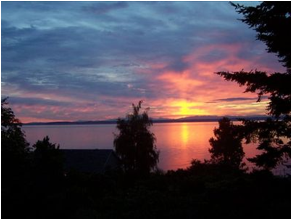 View of sunrise over Whidbey Island. at the nearby Point Hudson Marina. 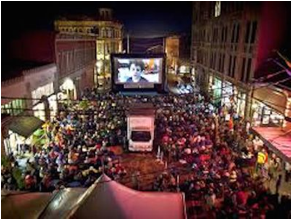 The Port Townsend Film Festival. The Sea Loft is a warm and comfortable studio carriage house in a quiet neighborhood very close to the heart of the Victorian downtown. It is extremely thoughtfully and efficiently set up by the owners with just about everything you need for a relaxing stay. The view to the bay is incredible!! Listen to the waves, sea lions and the bouy and watch the boats pass. We can't wait to come back. We have finally found the ideal place to stay in Port Townsend. Beautiful, comfy and very convenient in location and accommodation. Leave your worries and stress on the ferry, just relax and enjoy the peace and calm. Once again Janet and Mike, our hosts, made certain all was in order when we arrived. Never is anything left to chance. Linens are fresh, everything clean and tidy, and granola, milk, OJ, and coffee ready for breakfast the next day. We've stayed at Sea Loft several times, but Janet and Mike reminded us it had been almost eight years since our last visit. No wonder we felt so in need of a refreshing few days away from home. The view alone takes away your stress. Thanks once again for a lovely stay! This was my second time staying at the Sea Loft and it was just as great as the first time. We loved being up in the trees with the wonderful view of the water. Easy walk to either Downtown or Uptown for restaurants, shops, Farmers' Markets, museum, etc. I even picked blackberries that grow wild along one of the walks into Town. The bed was so comfortable. We both slept so well with lots of fresh air and it was so quiet. Janet was so nice to have ready for our arrival, granola, reg. and decaf ground coffee, fresh fruit, milk and sugar. Two grocery stores and a wonderful food co-op are located just outside of the main road (Water St.). 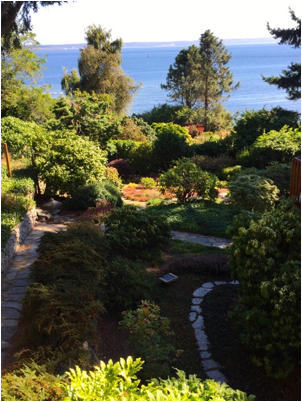 We used this location for day trips to Poulsbo, Sequim, Bellingham and even Victoria! I stayed at the Sea Loft while attending a retreat at Fort Worden and was sad I didn't get to spend more time in the studio! It is in a lovely quiet setting, close to town and has everything one would need. I look forward to going again. Janet was also very accommodating when I needed to change my plans. It was perfect and I would highly recommend the Sea Loft! Short walk into town, nice views of the water and sunrise over the Cascades, nice owners, clean, comfortable. Thanks for a great stay. We hope to be back again. We had the pleasure of staying at this Lovely Sea-Loft. Appropriately named by the way. The setting is quite private as the entire place seems ensconced by a variety of foliage. As we ascended the stairway another view evolves into an expanse of watercraft transversing the blue-green hue of gently rolling waves. The Loft itself is well adorned with a kitchen, dining area, loveseat & a ginormous bed. This location is a short walk to the town via road or beach. There are an almost unending assortment of shops for buying or perusing. This was definately the right choice for our 3 day stay. I have stayed at the Sea Loft many times during the past few years. The view is a knockout. If the weather gods are smiling, you can see BOTH Mt. Baker and Mt. 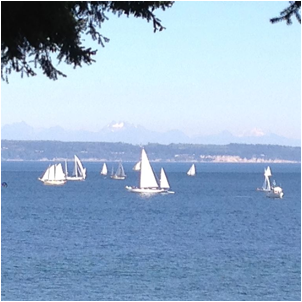 Rainier, and boats, boats, boats � sail boats, ferries, cargo ships on their way to Seattle. There is always something in bloom, in the garden, too. 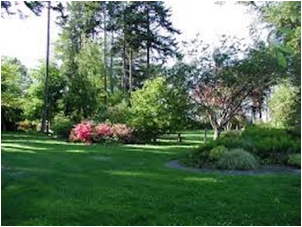 I can walk to downtown Port Townsend on the beach or via a "secret" path�10 minutes, or less. Uptown is just as close. So much to do, so little time. Almost forgot, the amenities are up to date and impeccably maintained. 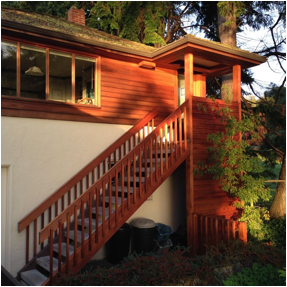 The sundeck has a warm southern exposure � great for an afternoon read and snooze (the Sea Loft is on a very quiet residential street so you may have to set an alarm). The owners have found the perfect balance of being friendly and helpful, without being too conspicuous. I can't imagine anyone not loving the Sea Loft and coming back time after time. We have stayed at the Sea Loft three times a year since we first discovered this lovely carriage house in 2002. Let me tell you why. First is the location. The Sea Loft is located on a very quiet street. 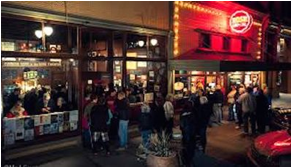 You can easily walk to the uptown and downtown shops, restaurants, and movie theaters or to the Key City Play House, the Farmer's Market and Chetzemoka Park. You can also stroll down to the beach in just minutes. The garden pictured in the photos is even more beautiful in person. Second is the view. Yes, the pictures you see are the exact view you will experience at the Sea Loft. With the Cascades and Mt. Baker as the backdrop for the Strait you can watch ferries, kayaks, and sailboats cruise by while you eat your meals or relax on the bed. From another window, or from the deck, you can see Mt. Rainier. Third is the Sea Loft itself. It is the perfect couple's getaway! It is impeccably clean and perfectly maintained. The kitchen has everything you need for those nights when you decide not to sample one of Port Townsend's wonderful restaurants. Fruit, granola, milk, coffee, and tea are provided, giving you an easy start on your first morning. There are always fresh flowers from the garden on the dining room table when you arrive. 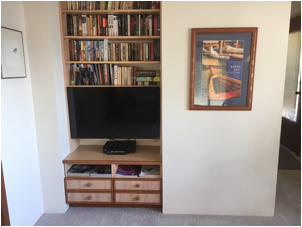 Cable is provided for the flat screen TV, which also has a built in DVD player. 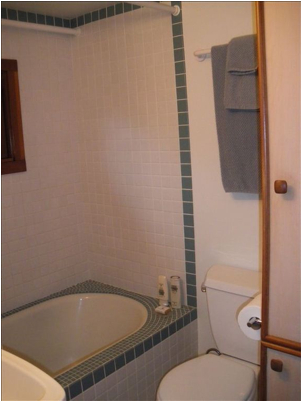 The bath has soft, cushy towels, a tub and a shower. And when you head to bed you're greeted by a king size bed with luxurious, ironed sheets. Last, but not least are the owners. 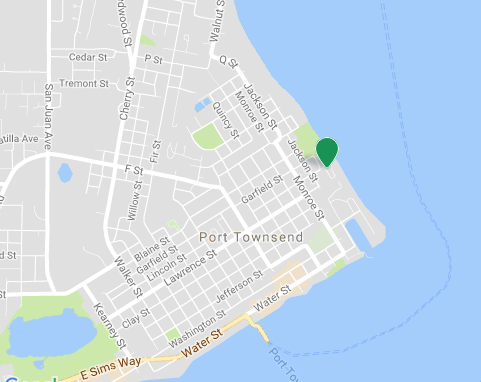 They have lived in town since the late 1970s and know everything there is to know about Port Townsend. While they are very considerate of their guests' privacy, they are more than willing to provide information about hiking, restaurants, what's happening in town, etc. if you just ask. 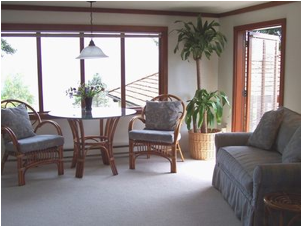 If you are considering a visit to Port Townsend the Sea Loft is THE place to stay. 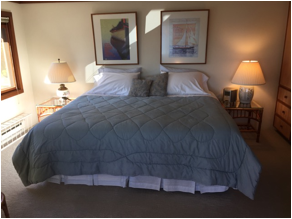 My husband and I had the privilege of spending a weekend at the Sea Loft and we couldn�t agree more with the rave reviews! The Sea Loft is a very charming, private unit with stunning views of the strait and mountains, as well as a beautifully landscaped garden. We found the studio exceptionally clean and very well kept. A lovely bouquet of fresh flowers waited for us upon checking in; a basket of fresh fruit and a refrigerator stocked with gourmet coffee, milk, orange juice and cereal provided a great start in the morning. 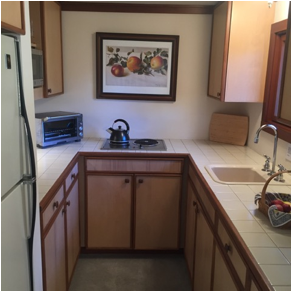 The location is perfect; in a quiet neighborhood by the beach, yet equally close to either uptown or downtown fine restaurants and shops. 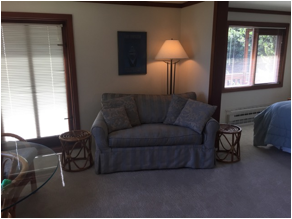 The farmer�s market is only a few blocks away and a drive to Fort Worden State Park won�t take more than a couple of minutes. The owner�s love and care for the Sea Loft, as well as their attention to providing comfort and happiness for their guests is present everywhere. Janet and Mike were wonderful hosts and we are looking forward to returning to this piece of paradise, soon.